I rewatched Aladdin one day last week when I was waiting for my boyfriend to come over and it really got me thinking. If there was a bookish genie, what are the three things that I would wish for? There are honestly so many things that I would wish for that it's so hard to choose just three. So what would my three wishes be? 1) To have time to work on bookish things. I currently work two jobs that don't take up too much of my time, but it is just enough that I have to cut out a lot of things or be very picky on what I spend my time doing. I also own five horses and five cows and it takes up a bunch of my time to take care of them. This makes it very hard to read, write, and blog unless I make those things a priority for that day. I would love to not have to work so much and just be able to devote all my time to my books and bookish things. 2) To be able to request any ARC I want. First off, and ARC is an advance readers copy normally given to bloggers, booktubers, bookstagrammers, and other people in the book field by the publisher in hopes that they would get a review in return. This would go hand-in-hand with my first wish as I would love to get any ARC I want, but I would definitely need time to read it. I cannot tell you how many times I have lusted over ARCs that other bloggers got, but I had to wait until the finished copy came out. I know a lot of people have to do this, but it still would be amazing to be able to get any book that I would like early. I would donate a ton of the books that I had finished or even try to give early copies of books to the people who want them if I didn't want to read them. 3) Be able to attend any book event I want. There are so many book events that I really want to go to, but a lot of times money and time get in the way of me going. I really wish that I was able to go to any event regardless of where and when it is held. Book events are some of my most favorite places to go to. Not only do I make a ton of new friends and see old ones, but I also get to see authors, get books signed, and maybe snag some freebies. Who wouldn't want that? I really need to take a trek out to the desert to see if I can find a magic lamp and get this genie to grant my wishes! 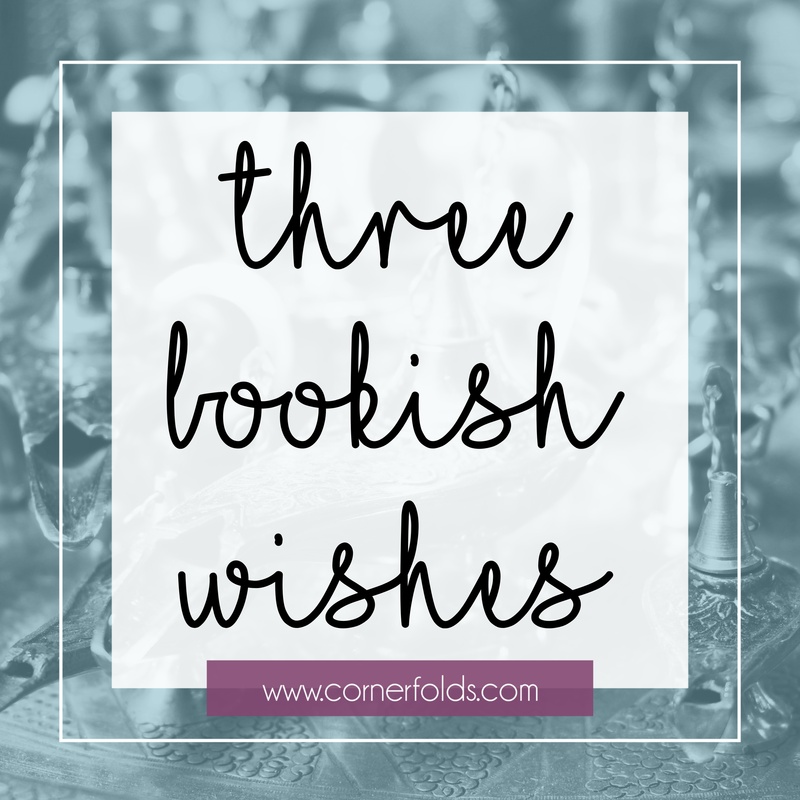 What three bookish wishes would you want the genie to grant?